We will be closed September 3, 2018 in observance of Labor Day. Please note that we are 8+ business days out to reserve trucking. Welcome to STS Intermodal, a RSI Logistics Company. STS Intermodal is dedicated to providing superior customer service at a competitive rate. We offer a complete line of services for bulk liquid transportation. We pride ourselves on safe and efficient transportation with a dedication to providing service at a competitive rate. All of our drivers are Hazmat qualified. 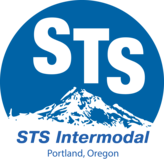 STS Intermodal provides consistent performance, safe operations, superior workmanship and quality that will exceed your expectations. For more than 30 years rail shippers have been relying on software and services from RSI to make their rail shipping simpler, more efficient and more cost-effective. Track shipments in one place, manage your railcar fleet, automate reporting, and streamline your freight bill accounting. Whether you need a complete full service solution or assistance with one aspect of your rail shipping, RSI has you covered. RSI is a premier material handler, operating 20 facilities efficiently, safely, and cost-effectively. We offer door-to-door services for transporting bulk liquids in North America. STS specializes in intermodal bulk liquid transportation for the Pacific Northwest. STS is part of RSI Logistics. RSI provides products and services that make rail transportation simpler, more efficient, and more cost effective. © 2017 STS Intermodal - All Rights Reserved.